With the recent story of how Paris Brown was recruited into the first ever Youth Police Commissioner role, and then slatered for her postings on social media sites, it really made me think. Children love the internet, and social media is full of youngsters who want to waste away their days sharing silly stories and posting all sorts of comments online. But every time they are doing so in their young immature frame of mind, are they running the risk of potential come back from the statements further down the line? I name, and add photographs of my children online, and have always stood by decision to do so, even when I listen to the arguments from those who would rather give nick names and not share face shots. To me, I know I have enough sense and thought to not post anything which could potentially cause a problem with future employers or mother in laws 20 years from now, (that is unless someone drastically didn't like children to climb trees or run through muddy puddles), I know that I am not going to write comments to exaggerate something or look cool to my teenage friends about how much fun it is to be in a drink induced state following a wild night out. It is the social footprint that my children will carve by themselves that will be more of a concern than my little blog sharing the photos from our family picnic in the woods. As my children are all growing up, I know it will not be long however, before they themselves have their own busy social media sites, and they with more of a social life than me, may well want to chat about the wild parties, and its more important than ever to teach our teenagers that things on the internet are forever and no matter how much you hope that no one will find the horrible photo you post or the nasty comment, if someone really wants to, they always will. I hope that me blogging will give them a understanding that people all over the world, who they do not know, can see the things I post, I already discuss with them my blog, and they already make choices over what they do and don't want to be included, and of course I respect that. This notion of realising that you can share things and use the internet in a good way will surely only benefit them when they actively use their own accounts online. I personally don't see the internet as a bad thing, I see it as a wonderful thing which we all should embrace, our children have been brought up in a digital social media filled world, there are so many opportunities for young people to really learn from and take advantage of the internet, maybe even get jobs involving it. What we need to concentrate on, is teaching children to respect it and use it in a way to maximize its uses, rather than shying away from it, or hiding it from the youngsters. As lets face it we can not hide them from it forever come their teenage years no matter what we say to them, they are going to all want access to their own social networks, if we as their parents haven't helped them learn the pitfalls and advantages then they will have to make their own mistakes in order to learn, and this is when they can get into trouble. So as a parent what is it that we should be teaching our children? And how do we help them? The first thing is knowing ourselves the differences between the various social networks, and using the privacy settings. As parents we should research this information and have some understanding so we can at least offer some help to our children when they start taking an interest in social networks. There are a few main sites to know about, and yes it may seem like our children already know more than us adults, but this doesn't have to be the case, knowing the basics may help no end, and although the youth do indeed know alot, it may be the very basics that they are missing. Facebook - This is perhaps one of the most well known social networks, so as an adult it may be the one you are most familiar with. Facebook can be very secure and has very tight privacy settings, providing you know how to use them, making it a great place to connect with those people you know in real life. Encourage children to keep facebook as private as possible adding only those people who they know in the real world, they can build up their social connections with school friends, family and work mates as the years go along. This enables it to be a safer place to share stories of parties and nights out, but saying that, it is still important to remember that posting online, even with tight security settings, doesn't mean what you post can not be found. If a friend of a friend shares your posts or copies your photos then they can upload them elsewhere. With facebook also being the one that is most personal it is important to encourage children to understand how the written word can come across differently to face to face communications, and how not to get drawn into online bulling, or how to recognise it if they feel they are on the other end and are receiving upsetting comments, try not to dismiss their upset if something has been said that they are hurt by, and help them to resolve issues without retaliating online. The age restriction for Facebook is 13 years old. yet it is increasing common to find younger children setting up accounts. With some simple understanding from you and guidance facebook doesn't have to be off limits to young teenagers. Twitter - Twitter is much more of an open network, although there are settings to hide your tweets and prevent people from following you, the vast majority of uses do not set these. And quite often you are connecting with people who you do not know, little snippets of your life are shared and the more outlandish and quirky the statement the more you will get noticed, but it is important to ensure children understand the pitfalls of twitter and its very open nature and are mature enough to stand by their comments before letting them have access to this sort of social media. There is no age restrictions for Twitter accounts, that I am aware of, but using common sense and judging your own childs maturity I would not encourage twitter for the younger teenagers. Twitter moves fast, you can follow all the famous celebrities and get lost in the high paced short tweets surrounding events, TV programs and such like, sharing your views with others who share the same interest. With Twitter limiting messages to 140 characters it is even harder to show empathy and this can cause the most problems, twitter also has its own set of rules of etiquette which when you are new to the social network you may find confusing, hashtags # and @mentions bring together topics but because the individual messages are short it is often hard to pull together the background and things can get misunderstood. 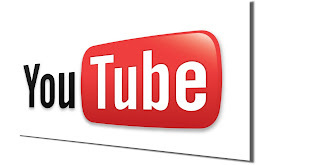 YouTube -This is fast becoming a hugely popular network for young people, and is rapidly growing. Youtube of course, has videos at its core, but users do not have to upload their own videos in order to interact there, you can have a youtube account (google+ profile) and use it to comment and interact with the video makers. In the past few years Youtube has rapidly gone from homevideos of cats jumping into toilets to vlogging channels and sketch shows which produce a new video on a certain day each week, covering all sorts of topics from hair and beauty to comedy and animations, it is very much allowing youngsters to control their viewing and creating a whole new dimension to television and video entertainment. Of course with the huge audience on Youtube there are lots of things that are unsuitable to children, lots of swearing, and older content, and often those who comment on videos do so purely to provoke reactions, rather than to create meaningful conversations. Of all my social network accounts it is only ever YouTube that I receive negativity, and it is vital that this is explained to young users. If you are creating videos you are putting your self in full view, and hurtful comments can be so much more upsetting, before upload any videos of your children explain to them that not all comments will be nic and you are likely to get dislikes along with the likes. Like with Facebook and Twitter, its important to understand what you expect from the network, how you intend on using it, and what is and isn't available there. Try to understand why people may respond in the way they do, and why negative comments are so quickly thrown about, and how to respond to any that come your way. If your children are budding film makers or presenters and fancy making their own channel with videos then it is advisable to set messages and comments to not show until after you have vetted them, and ensure you double check all videos before they are uploaded, especially for the younger teenagers. Don't feed the trolls and often NOT responding is the best thing to do with any negativity. If your child simply wants to interact with the channels they like, then they may never want to upload any images or content at all to their profile, but its advisable to ensure they are aware of the do's and don'ts with regards to sharing personal information, names, location and such like. There are of course loads of other social networks, and if you hear of your child wanting to sign up and interact within any, I would advise getting to know the network yourself too. Overall the internet is there to be enjoyed, so try not to worry to much about the nasty side of thing, encourage the fun along with the seriousness and be there to help and resolve any issues whilst guiding your children to respect the communities and people in them that they get involved in. Great post. I completely agree with you about the internet being a good thing, we just need to have a bit of sense about what we post and in particular teach our children that digital content is permanent.